Most of the travelers right now are traveling multiple countries in just one trip. There are some countries that border only one country, with only land borders being counted. One of the examples of that is travelling from Malaysia to Brunei. Aside from taking an airplane or ferry, you can reach Brunei from Kota Kinabalu by bus. Its very easy to travel from Kota Kinabalu, Sabah, Malaysia, to Bandar Seri Begawan, Brunei in a single day. You can take bus, ferry or airplane. But, if you want to save money, I highly recommend to take either bus or ferry. No worries, it's comfortable and safe. 1. Get to Jesselton Point Ferry Terminal in Kota Kinabalu (Landmarks: Jesselton Hotel and Grandis Hotel). Purchase a ticket going to Labuan, Malaysia. I got a ticket going to Labuan via Labuan Express Tiga vessel. Ferry fare for Non-Malaysian is MYR44.60 including the tax (business class) and MYR38.60 for child, 11-year old and below. Travel time is more than 3 hours. 2. From Labuan Terminal Pier, take another ferry going Serasa Ferry Terminal, Muara, in Brunei. 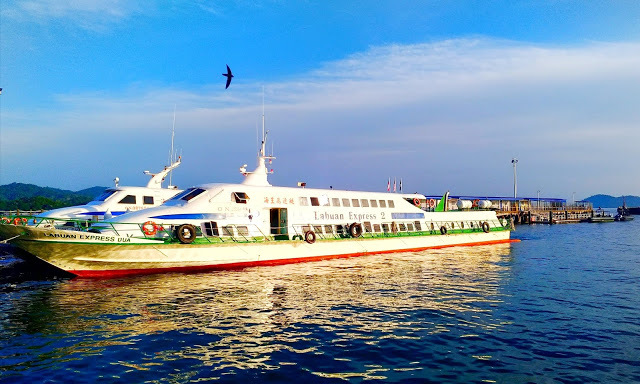 The first ferry boat will leave Labuan at 1:30 and the second schedule trip is at 3:00PM. Fare is MYR35. You can tour around in Labuan or buy chocolates, perfume, alcoholic beverages in their duty free which is located in terminal. Goodies are cheap because there's no tax here. Please be advised that you are only allowed to bring into Brunei 2 bottles of hard liquor and 12 cans of beer. Drinking of alcoholic beverages in public is against the law. No worries, you can consume it in your hotel room! 3. 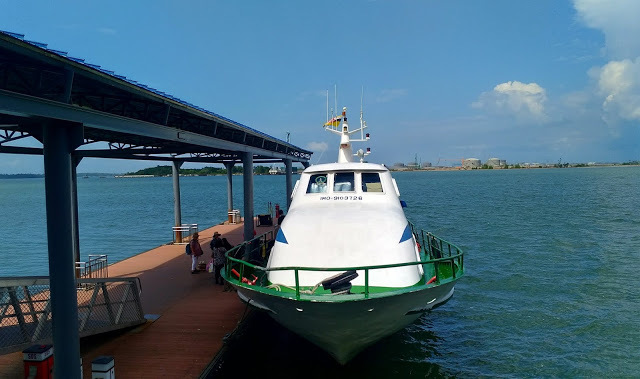 The ferry to Serasa Ferry Terminal in Brunei will take a little over 1 hour and you will arrive about 3 pm. Taxi is estimated B$20 to B$25 and bus fare ( (could take an hour or more) is B$2. I took a bus from the pier going to Maura (bus terminal) and I payed B$1. I transferred to another bus going to Bardar Seri Begawan and the driver told me not to pay anymore. 3. From the terminal, you can take taxi or bus going to Bardar Seri Begawan, Brunei. It will only take around 30 minutes to reach BSB. For bus, it will take around 1 hour. 1.Get to the central bus terminal dock in Bandar Seri Begawan, Brunei to catch the bus (B$2) to the Serasa Ferry Terminal. Please be early because bus should leave at exactly 8AM. Buy the ferry ticket to Labuan which will cost B $17 which includes fare and terminal fee. Travel time is over an hour. 2. From Serasa Ferry Terminal, Muara, take another ferry going Jesselton Point Ferry Terminal in Kota Kinabalu. Fare is 44.60 which includes the fare and terminal fee. Travel time is over 3 hours. Get on a bus in KK to Bandar Seri Begawan (BSB) Brunei. 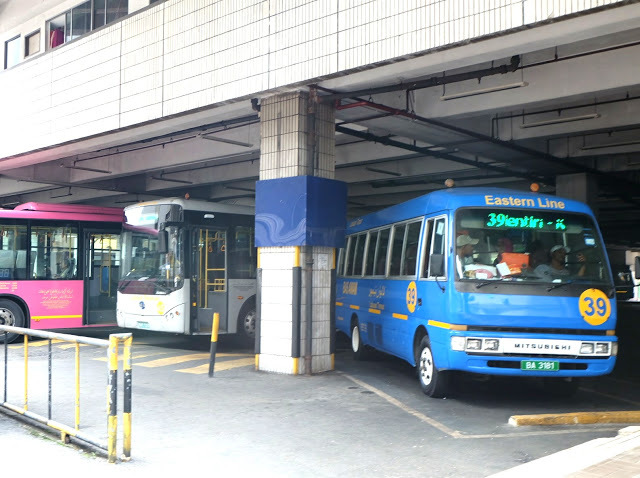 The bus leaves daily from KK bus terminal. The bus leaves at 8:00AM and there's only one bus per day from KK to Brunei. The bus will drop all passengers at the terminal which is located in Chinese Temple in BSB. Get on a bus in Bandar Seri Begawan (BSB) Brunei to Kota Kinabalu (KK). The bus terminal is located near Chinese Temple and Bus fare is B$45 per person. It leaves 8AM daily. There's only one bus going to Kota Kinabalu. Travel time is estimated 8 hours. You will get a lot of Passport stamps crossing from Brunei to Kota Kinabalu, Sabah, Malaysia. By the way, if your are looking a budget-friendly accommodation in Brunei, you might want to check the EZY Lodging. I payed B$40 plus service fee for three days and two nights. It's located in the middle of the city which is near to everything, malls, restaurants and tourist destinations. There are other hotels in the city that you can check on online booking like Agoda, Airbnb and Booking.com. If you have your own travel guide, review, blog, opinion or any questions on how to get from Brunei to Kota Kinabalu or going from Kota Kinabalu to Brunei, please leave a comment below.